Well since Instagram is a free app there is no crime in that. But as for me I think it’s time for all this to stop, it’s time to track those silly beings who have decide to play you like a can, it’s time to let them know that you can figure them out. But the question is how you can know those who followed and those who refused to follow you? Well there I nothing to worry about. I’m here to solve your problem by giving you necessary steps to take so as to know who follows back and those who refused to follow. For you to know who don’t follow back all you need is a tool called unfollowgram. Unfollowgram is a famous tool that gives full details about people who you follow as well as who unfollowed you on Instagram. This app also helps in controlling and analyzing your Instagram followers. you will also know that Who's Blocked Me On Instagram. Unfollowgram has many features such as having knowledge who blocked you as well as tracking those who unfollow you. You can know the minimum amount of comment and likes your pictures or videos have in a day with this particular tool. 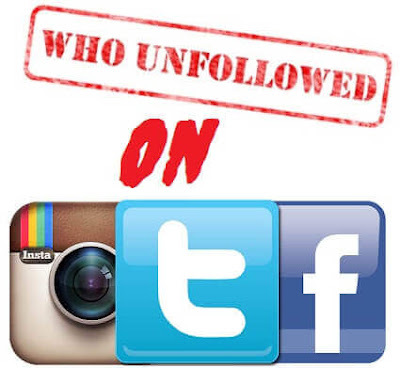 Unfollowgram will notify you when someone you follow follows you back or not. Follow the steps below to know who unfollowed you on instagram. There will be two options which will ask if you have account or you want to register new account. Sign in with your instagram account on unfollowgram website. After you sign in, the dashboard page will appear on the screen. Who I don’t follow will only show the information of those you don’t follow. It’s now your choice to follow them back or not. Click on who doesn’t follow me back to those who don’t follow me to get the information of people who doesn’t follow back. This is the main feature you have been searching for so all you have to do is to remove those who unfollow you on instagram. But it’s so much sad to break the news that unfollowgram stopped due to the changes which are been done to it by the service providers. It would be released and updated very soon so as to enjoy latest features on unfollowgram. I hope with the above steps which are stated above you won’t worry anymore regarding people unfollowing you on instagram, don’t forget that an eye for an eye a tooth for a tooth. Stay tuned for more articles by us, until then stays blessed.